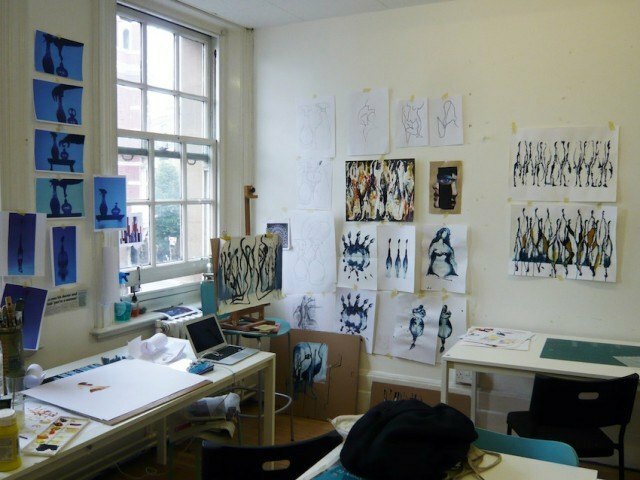 The 4 week Portfolio Preparation Course programme at London Art Portfolio offers the ideal start up portfolio course. 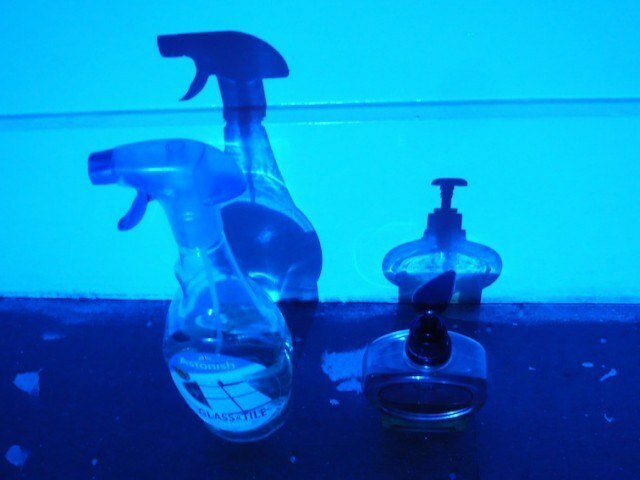 Much emphasis is placed on alternative research, idea development and concept building. Professional, experienced portfolio tutors will support you throughout this process. During the 4 Week Portfolio Preparation Course, you will receive ongoing feedback. This 4 Week Portfolio Preparation Course can add to a previous body of work, or can be the ideal way to start up a portfolio as a beginner. We can offer you additional 1-1 Tutorials support to overview past work and advise, what should be included in your portfolio. Our students are successful! London Art Portfolio will help you prepare for your future University Art School applications for UK, EU and International Universities. We have in-depth knowledge of other education systems and can quickly identify what is required for your portfolio! This is a great opportunity to meet and be inspired by other artists and designers and expand your international social circle in the arts! 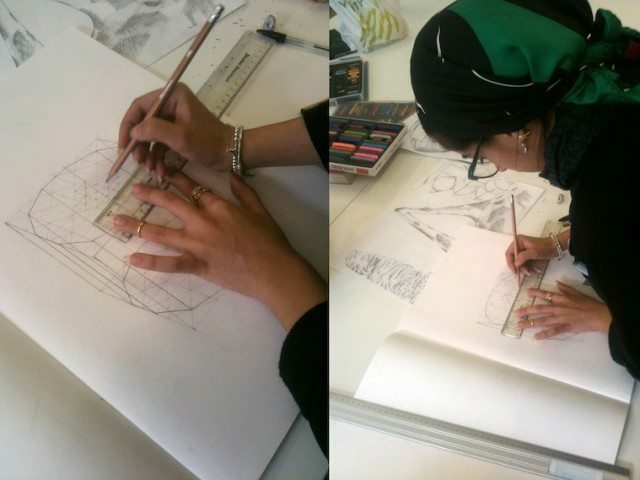 What we offer: London Art Portfolio offers a full time 4 Week Portfolio Preparation Course programme in art and design. We help you prepare a portfolio for a number of different specialist fields within art and design. These include Fine Art, Fashion Design, Architecture and 3D Design and Graphic Design plus more. 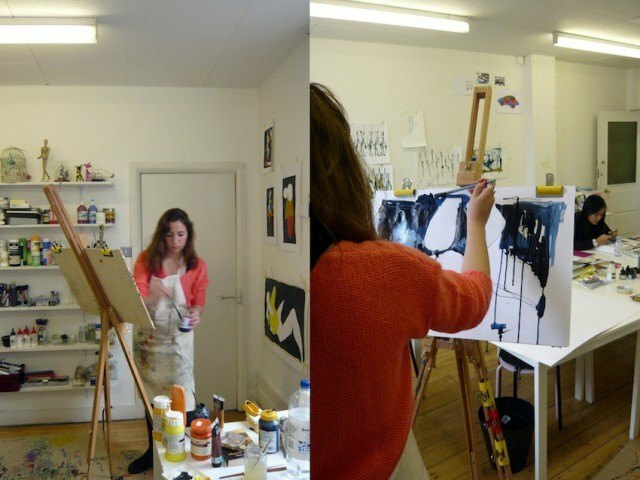 Make the most of working in artist studios and make new UK and international creative friends! This is a great way to start and learn some new skills and ideas! The course runs for 4 days per week, over a 4 week period. It is ideal for those of you who are in London and Europe for a shorter period of time. We have a kitchen diner where there is ongoing free coffee and tea plus other condiments throughout each day. This is a great space to meet and get to know other people on the course. 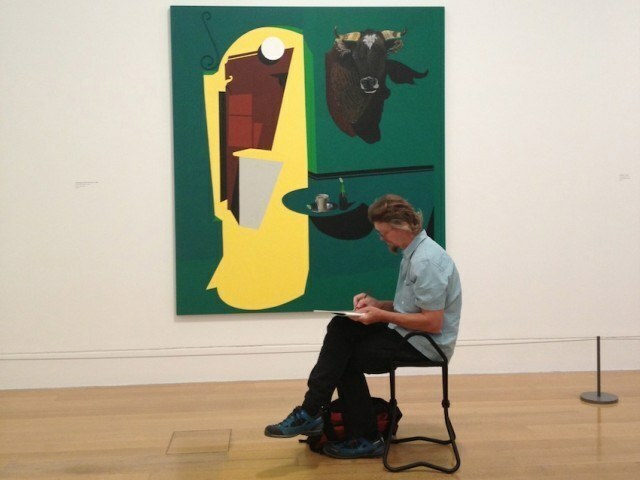 London Art Portfolio offers an intimate environment with a choice of sunny studios to work in. We are located right next to Tower Bridge. 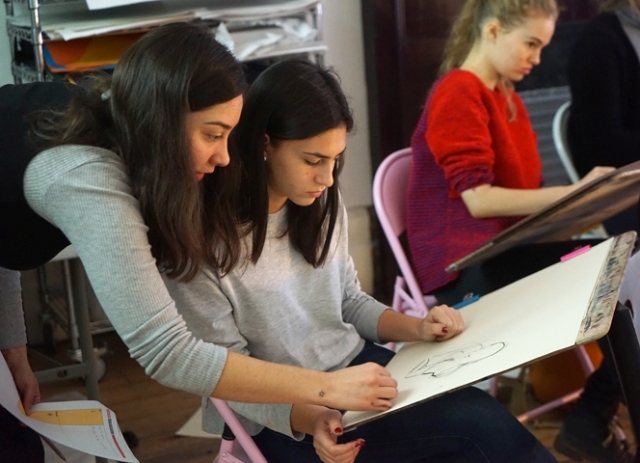 As part of the course programme, you will be introduced to drawing on site in our artist studios, whilst also discovering the delights of famous Museums and contemporary art galleries in London. 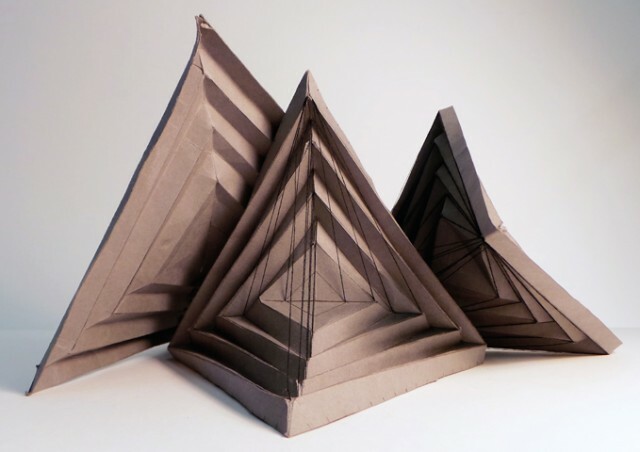 The 4 week Portfolio Preparation Course gives you the essential introduction to a range of materials, processes and techniques which will expand your ideas and skills. This is ideal for beginners and the more advanced, perfect for portfolio preparation. We place much emphasis on research and give you ongoing feedback to follow up, both in the studio and in your own time. A visual journey of your idea development is vital for your portfolio preparation. You will receive professional support throughout. 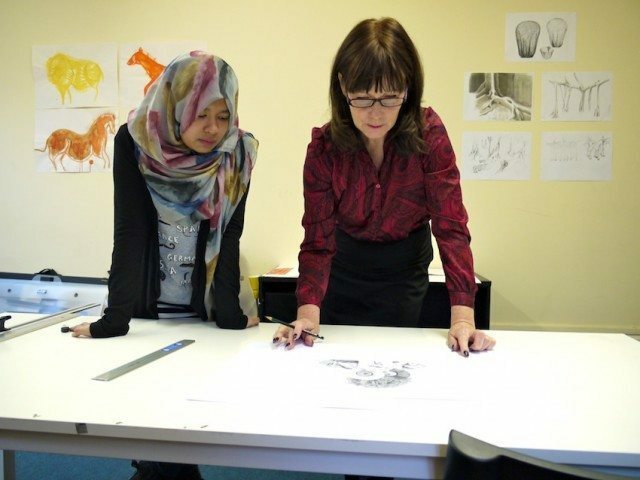 The 4-Week Art and Design Portfolio Course is ideal for anyone who wants to make a serious, focused start, in the preparation of an art or design portfolio for Foundation and Degree applications. Equally, it is the perfect course for professional development and a change in career. You may be an artist or designer, who wants to get back to painting, designing or making again! 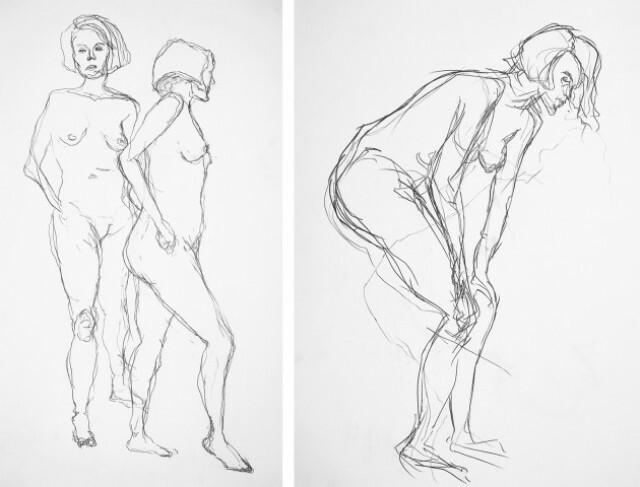 London Art portfolio is a great place to do this! We also help Post Graduate Art Therapy applicants build up an art and design portfolio for their application process and PGCE in Art and Design Education applicants who require a refresher portfolio that can present essential skills and idea for the interview process! You will receive professional advice on how to progress as an artist or designer and have lots of fun doing so! There are opportunities to top up the 4 Week Portfolio Preparation Course programme with 1-1 Tutorials. This is very helpful to receive more in-depth bespoke feedback, plus support for your whole UCAS University Application Process. One-One Tutorials are a minimum of 2 hours per session. 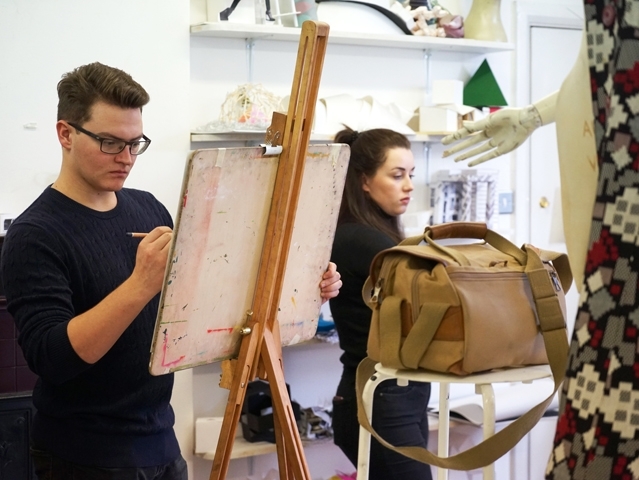 The London Art Portfolio Preparation courses are a fantastic way to meet new people in the creative arts. You will extend your knowledge in Critical and Contextual thinking and debate and become more aware of historical and contemporary artists and designers, perfect for your portfolio and the interview process. Many of our tutees have built up their 4 Week Portfolio Preparation Portfolio Course programme with additional One-One Tutorial support, which gives you the opportunity to focus on your whole UCAS application process and receive further in-depth portfolio feedback and development on this 4 week portfolio course. 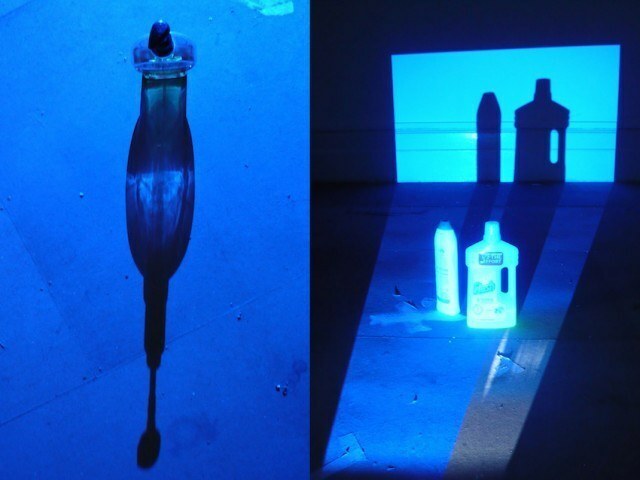 At LAP you are encouraged to seek inspiration everywhere, whatever stirs your passion, and afterwards introduced to an imaginative range of materials and techniques to visualize your ideas. The process was great fun and everyone on the course was really friendly and bounced off on each other’s skills and ideas.